For those who are still interested to attend the workshop, we only have 3 slots remaining. Learning Investment for the workshop is Php 7,500.00. We now have a venue for our workshop, GIZDUINO EX Day 1 this coming Saturday, April 26, 2014. 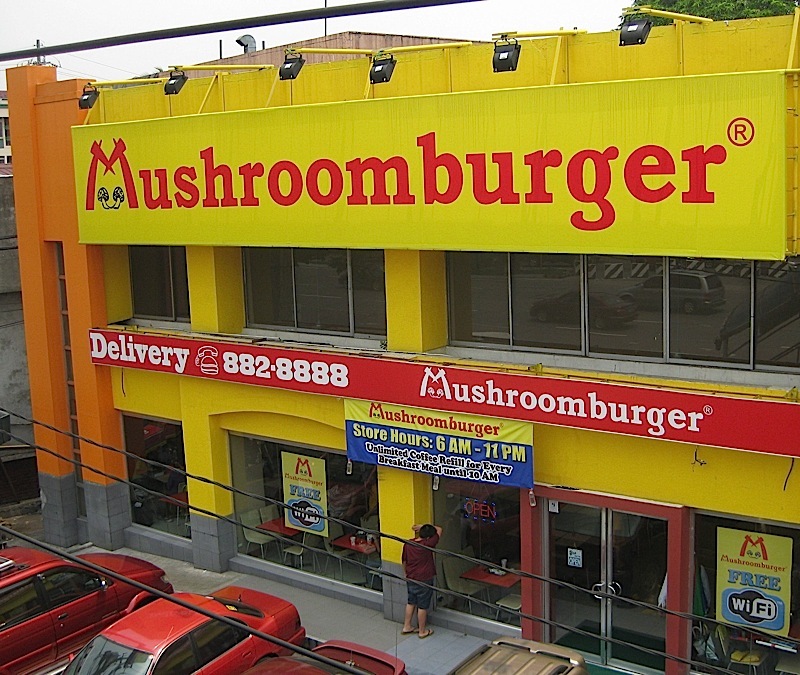 **Please disregard the EMO person outside the store, this is what Mushroomburger looks like. Across Ateneo de Manila along Katipunan Ave.
Look for the Katipunan jeepney station beside Vinzons Hall or just ask around. Walk towards the UP – Katipunan jeepney station. Cross the footbridge and you’ll find Mushroomburger. Please bring your balance for the workshop fee on the first day of the workshop. Be ready to meet new friends as you will be teamed up with other participants to provide a conducive environment of learning and collaborative work.